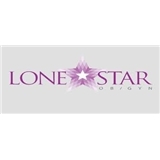 Lonestar OBGYN (San Antonio) - Book Appointment Online! At Lone Star OB/GYN Associates, we believe you should trust and feel at ease with your OB/GYN doctor. We foster a comfortable, relaxing atmosphere that creates a pleasant experience the moment you walk in the door. We form positive, long-lasting relationships with our patients, giving us the ability to provide truly effective care. We foster a comfortable, relaxing atmosphere that creates a pleasant experience the moment you walk in the door. Lone Star OB/GYN Associates offers comprehensive, wide-ranging OB/GYN services. From annuals to pregnancy care and menopause, we’re here for every woman of every age. Lone Star OB/GYN Associates provides minimally invasive surgeries and robotically assisted surgery, so you can rest assured you’re always in the gentle hands of your doctor no matter the procedure. I like a doctor who gives it to me straight, Dr. Beceiro is great! Dr. Laura De los Santos was very sweet and informative. The front lady was so nice and respectful. I was looking for a new Obgyn in San Antonio and I’m happy that I found them! Excellent doctor. Very informative and takes time to answer all questions. Shes such an awesome doctor this was my first visit and she made me feel comfortable. Listened to all my concerns and was able to walk me through the whole exam. She was really nice and showed me with a model everything she was going to do to me. This was my first obgyn appointment and she has made it enjoyable.